The book, "Very Valentine" takes place in contemporary Greenwich Village in New York City. It tells the story of a single woman in her 30's who is trying to rebuild her family's historic shoe business while simultaneously dealing with her personal love life and the complexities of being part of a large, extended Italian-American family. The novel deals honestly with the difficulties of being the only remaining single sister in her generation, while trying to find a balance between work and romance, following one's artistic dreams, and striving to build a successful business. These are conflicts that are common to young women today, and I believe that many women will identify with the dilemmas facing Valentine. You can order this book from Amazon in the ad below the next section. It's a fun book to read! 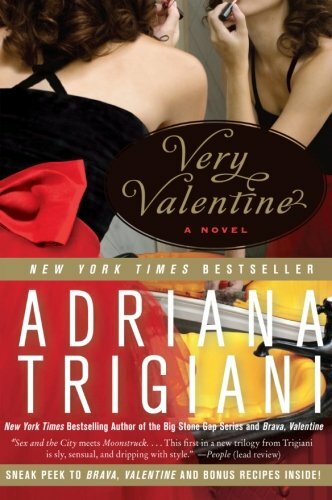 The novel, "Very Valentine" is funny, romantic, and honest. The main character, Valentine Roncalli, is a sensual, energetic, and realistic portrayal of a 21st Century career woman! When she gets caught naked on her roof top garden, her embarrassment is palpable. When she is swept off her feet by a charming Italian chef, the reader can easily understand the attraction, but also the difficulties that are evident from the beginning of their relationship. The novel deals honestly with the complications faced by many young, contemporary women as they try to balance their love life, and their dreams of family and children, with their desire for a satisfying career. This book does not leave the reader with simplistic "she lived happily ever after" solutions. In fact, when you finish this novel, you will be dying to move on to the next book in this series, "Brava Valentine." In addition to the characters and story-line, this novel also increased my appreciation for the work, craftsmanship and artistry that goes into a well designed pair of shoes, which is the business that has become a passion for Valentine Roncalli. If you decide you want to read this book, use this direct link to "Very Valentine" on Amazon.com. You can also use the ad below. This book is a bargain when purchased from Amazon. Buy it and enjoy it! Would Men Enjoy This Romance? Although everyone in my Southern California book club enjoyed this novel, it is most definitely written from a woman's perspective and most men would probably find it lingers a little too long on descriptions of clothing, and fashion, especially shoes. However, anyone who is interested in learning more about shoes and the shoe industry would find the detailed descriptions in this work of fiction to be fascinating. My Southern California book club loved this book. They especially enjoyed the fact that it had a more complex and realistic resolution than the typical romance novel. They also enjoyed the diverse characters in the story, and had a great time discussing whether or not they agreed with the various decisions made by the women in the novel. I would highly recommend this romance to any woman who is hoping to find some entertaining summer reading. 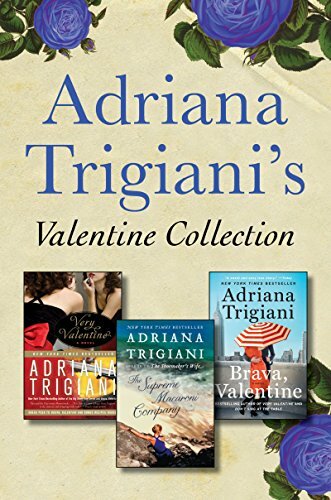 You will want to start by reading "Very Valentine" and then move on to the other two books. This Kindle Collection has all three of them. Great review and good synopsis of the story without giving anything away. Thank you, divaonline. This was a fun book to read. It contains a lot of the issues that young, career-oriented women experience today.